This summer has absolutely flown by! I cannot believe I go back to work on Monday. To end the summer, I went on a hike yesterday and had a great summer-time dinner waiting for me when I got back. I have been wanting to make a pasta salad for a long time and never got around to it. I figured pasta salad would be great after a hike. 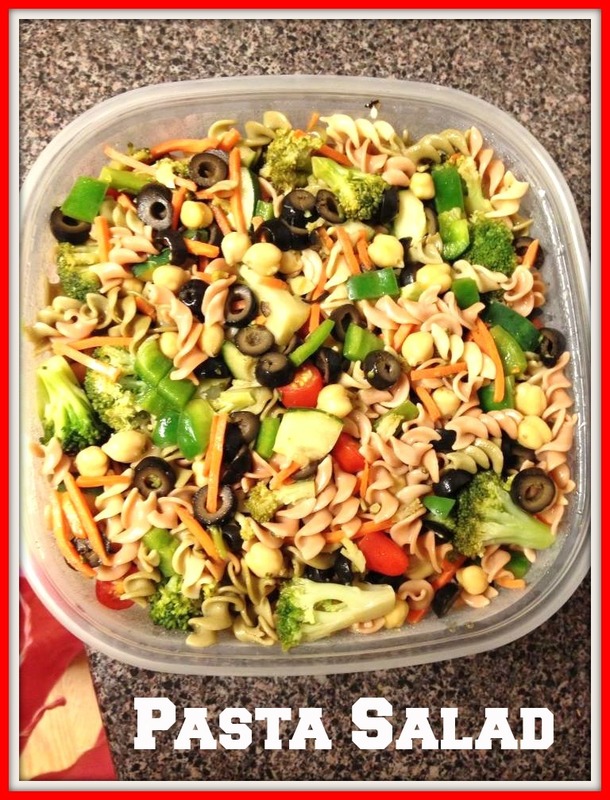 Pasta salad is actually quite easy to make and it makes so much that you will have leftovers for the week. This is perfect for those work days. 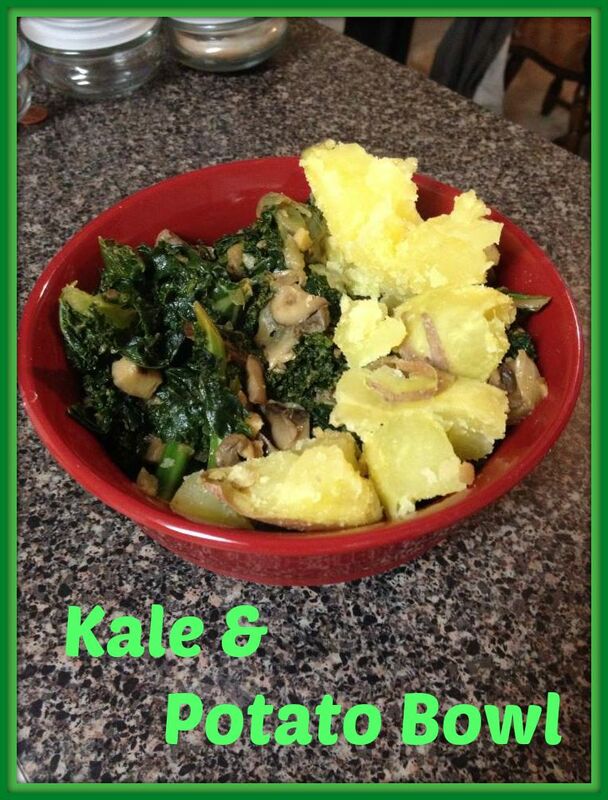 This recipe has been adapted from two recipes: here and here. I chose ingredients for the pasta salad based on what I liked between the two and I liked the oil free dressing better. Cook your pasta according to the directions on the package. Allow to cool. 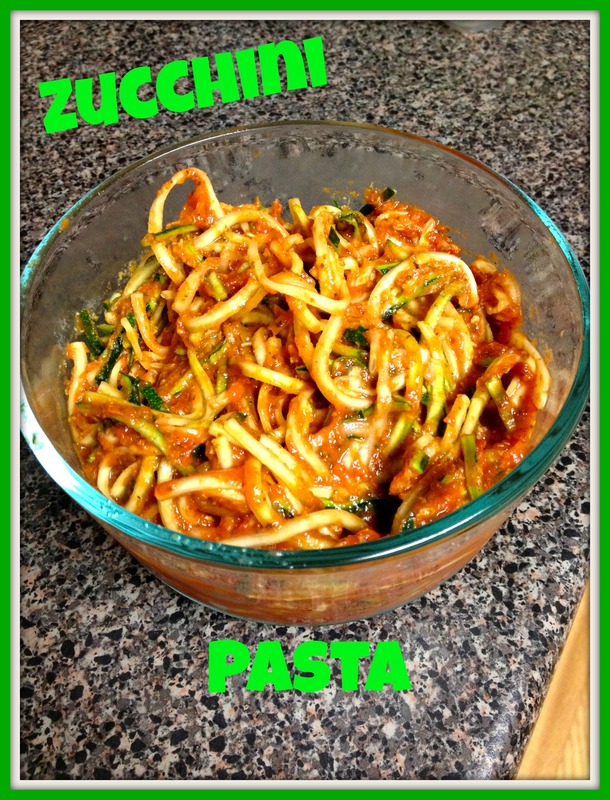 Slice all your veggies and add them to your cooled pasta. Add the black olives and chickpeas. Mix together the dressing ingredients in a shallow bowl. Pour the dressing into the pasta salad and mix to combine. Chill a couple of hours, if desired, and serve. I bought carrots and olives that were already pre-sliced which made this meal even easier to put together. 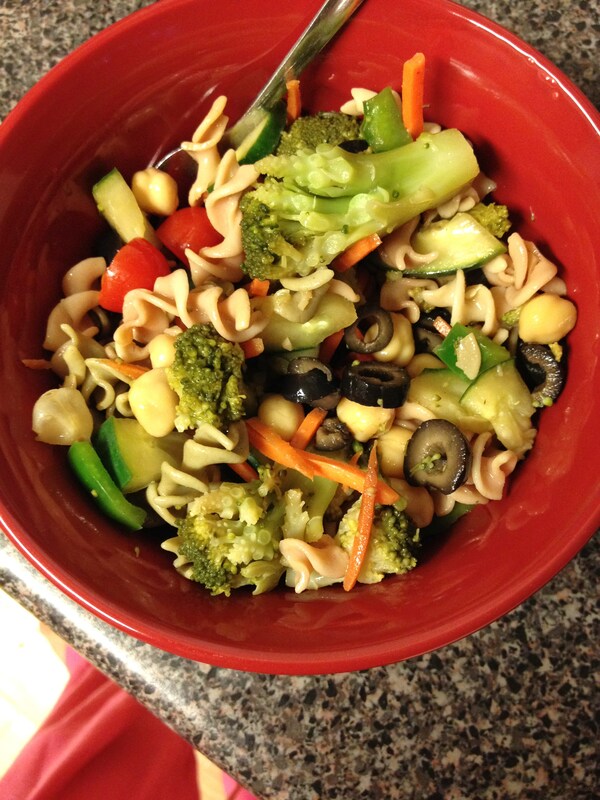 The best thing about pasta salad is you can just cook some pasta and add any kind of veggies that are your favorite for a bowl that you find delicious! A coworker gave me this recipe. She made it before, but I was not able to try any because it called for a can of tomato soup which contains wheat flour. When she handed out the recipe I wanted to make this immediately with my own tomato soup! My recipe for tomato soup (see below) makes a lot of tomato soup and you will not need it all. So one of the best things about this gazpacho is you get tons of gazpacho and a lot of tomato soup too! You will have plenty of leftovers to enjoy for the next few days (depending on how many people you’re feeding). 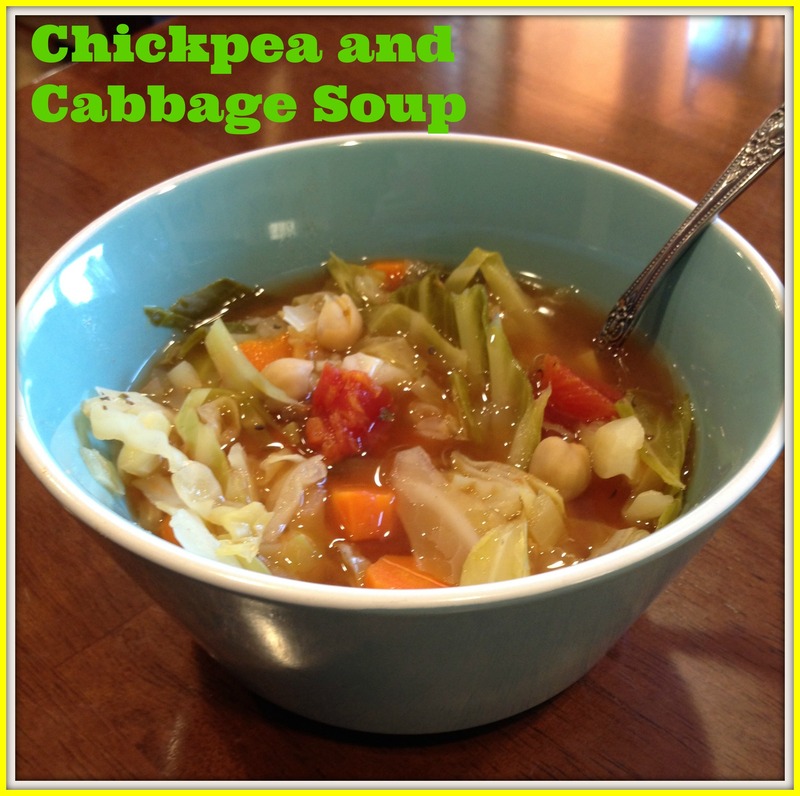 On a hot summer day, this cold soup is perfect. It is so tasty and absolutely 100% healthy. Make tomato soup. Measure out 22 ounces and pour into a large bowl. How simple is that!? Even though there is some chopping, it is only 4 items that need to be chopped which really doesn’t take that long. Plus, you don’t have to cook anything so once it’s chopped it can go directly into the serving bowl! Also, I know it is much easier to just open and pour in 2 cans of tomato soup, but I highly recommend trying my recipe. 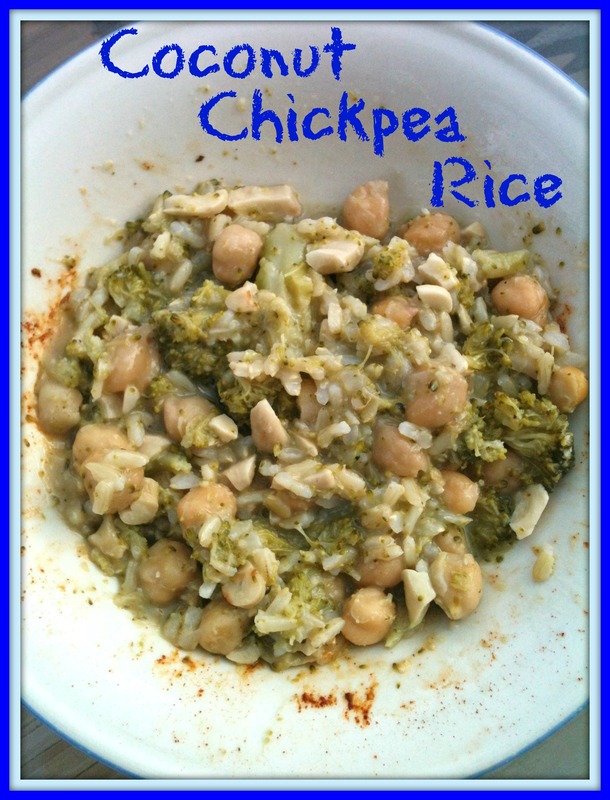 It really does not take that long and the chickpeas add a nice creaminess and some good protein! 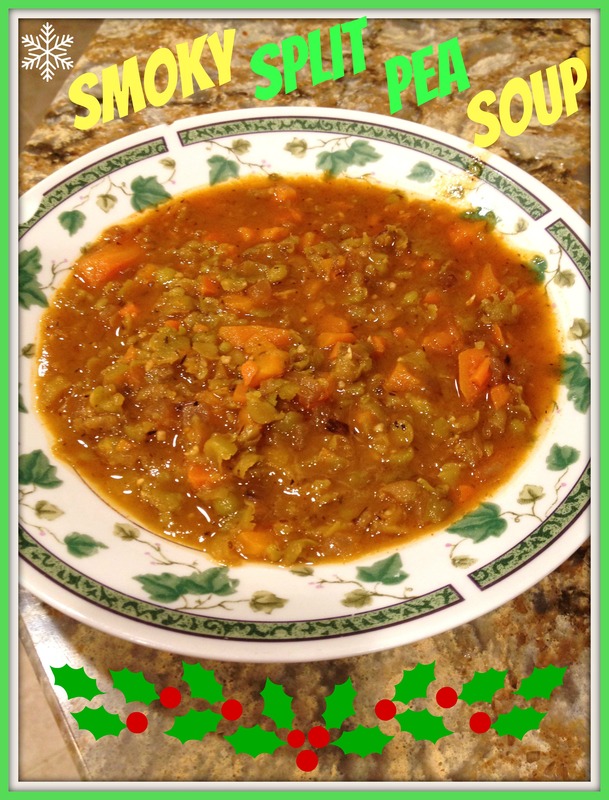 I have been loving soups, stews, and chilis again this winter! In celebration of the first day of winter (even though it was 60 degrees!) I made this delicious soup! In a large pot saute onion in the olive oil until translucent for about 4 minutes over medium-high heat. Add garlic, pepper, and salt and saute for another minute. Add paprika and thyme and stir continuously to toast the spices. 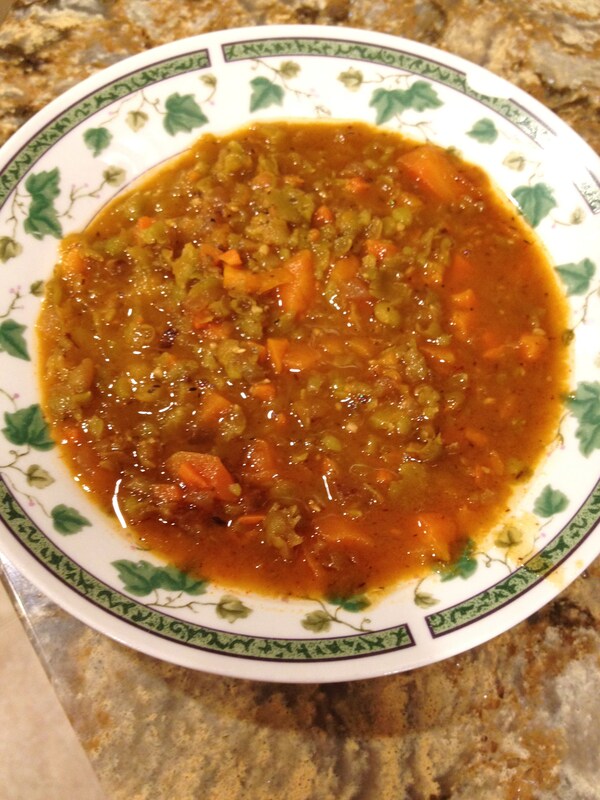 Add the carrots, split peas, and broth. Once it’s boiling, lower the heat to a simmer and cook for about 40 minutes, until the peas are creamy, stirring occasionally. Add the lemon juice and taste. Add extra lemon juice, salt, or pepper if needed. 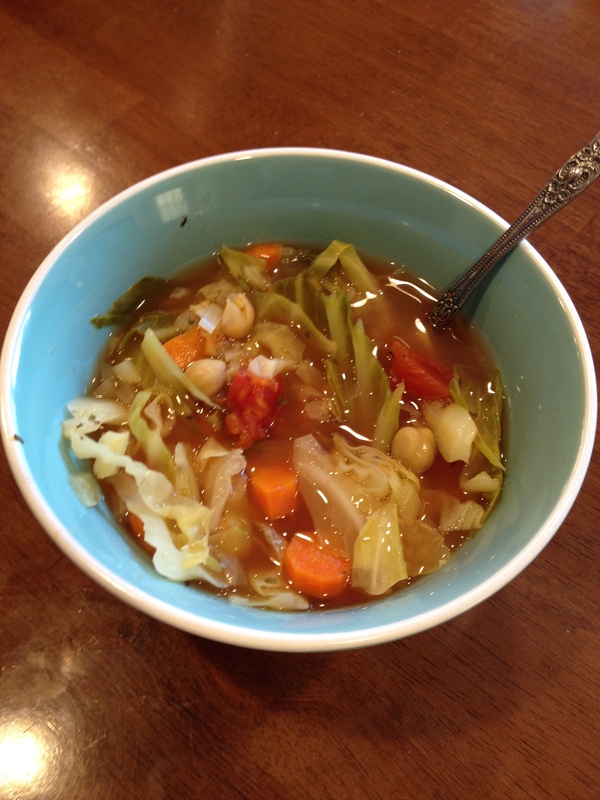 The longer this soup sits, the more flavorful the soup will taste. If possible, try making at least a few hours before serving! Next time I make this soup, I’m doubling the recipe. I bet eating the leftovers the next day would be delicious and lunch would already be ready! Anything with the word cocoa in it sounds delicious and needs to be made immediately! Cocoa Chili may sound unusual, but it is tasty in a surprising way. 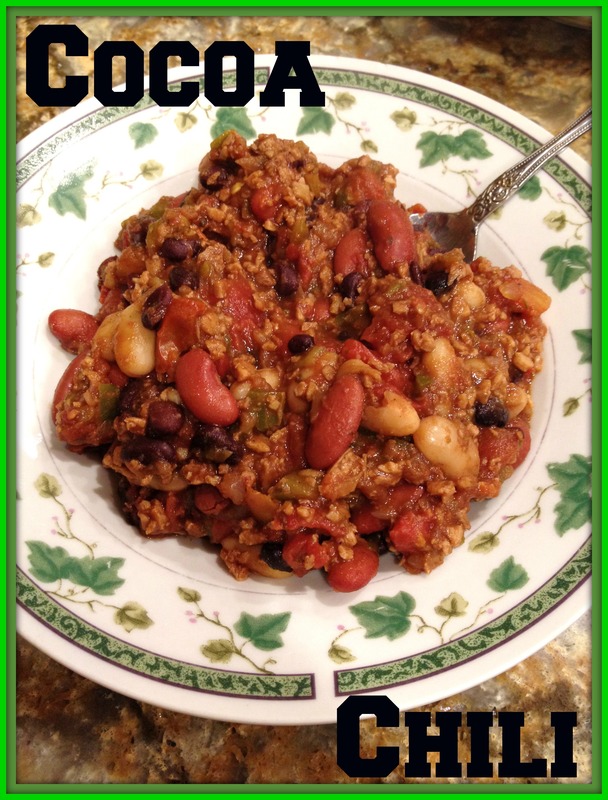 With this cold, snowy weather, I figured this would be a great time to post this chili recipe! Saute onion and pepper until soft, stirring occasionally. Add garlic and stir again, cooking for about 1 minute. Add cocoa powder, oregano, cumin, salt, and cinnamon and stir for about 1 minute. Add in tomatoes (with the liquid), veggie broth, green chilis, and chipotle sauce and stir to combine. Bring to a boil. Once boiling, reduce to a simmer. Add beans and sugar. Simmer over medium-low heat, stirring occasionally. Allow to cook for about 20 minutes. Stir in TVP. Continue to cook for another 10-25 minutes, until desired consistency is reached. The longer it cooks, the more it will thicken. Adjust spices to taste and serve! * If you don’t have chipotle sauce, you can just use any hot sauce. Maybe add in about 1 tsp of chili powder as well? 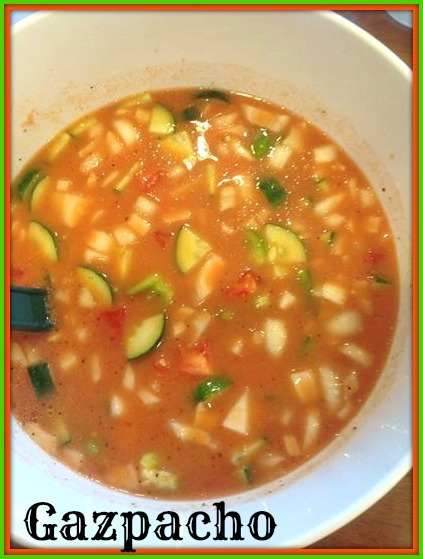 ** I used 1 cup of veggie broth, but you can add up to 2 cups if you like your chili less thick. For an even quicker meal, I’m sure this can even be prepared in a crockpot. Just put everything in the crockpot, stir, and allow to cook on low 7-8 hours or on high 4-5 hours. If you use the crockpot, you won’t have sauted veggies unless you do that step before adding everything to the crockpot, but I’m sure it still tastes great! 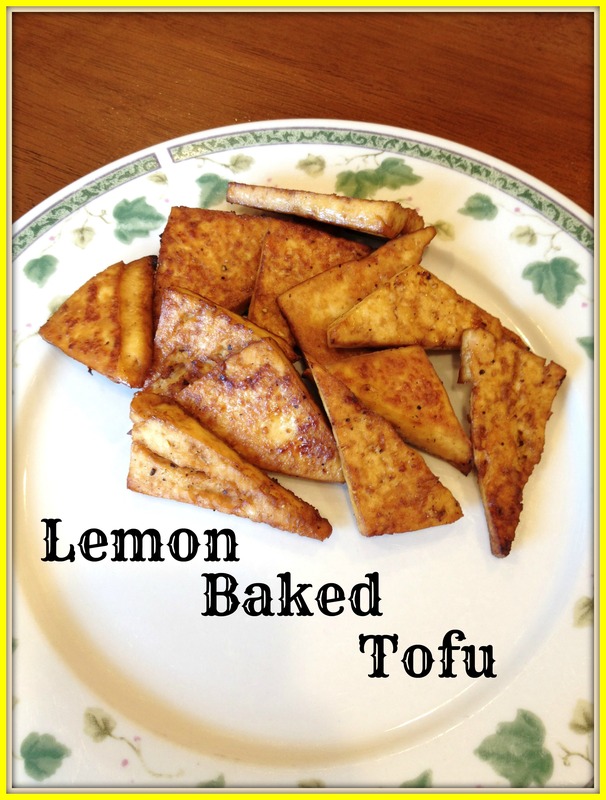 Based on 8 servings, this recipe yields approximately 245 calories and 16g protein. I love making pizza! Unfortunately, it is extremely hard to find a gluten free and vegan pizza crust unless I want to spend like $7 on a pre-made pizza. Yes, a pre-made pizza is easy, all you have to do is stick it in the oven and bake it, but then I don’t get to choose what ingredients to top my pizza with. Plus, like I said, $7! for a pizza! And it isn’t even that big, 2 people could share it as a light dinner. 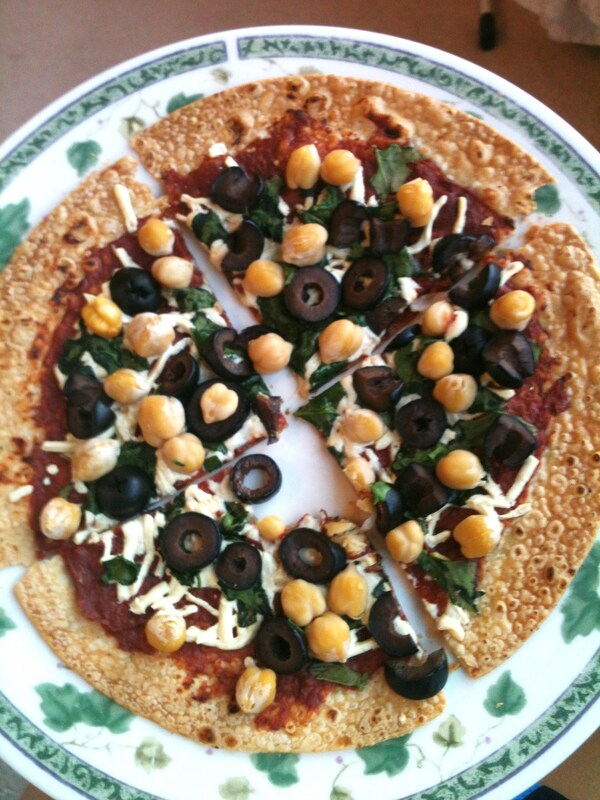 Usually, I make socca pizza, but it can take some time to mix, bake, and bake again with the toppings. 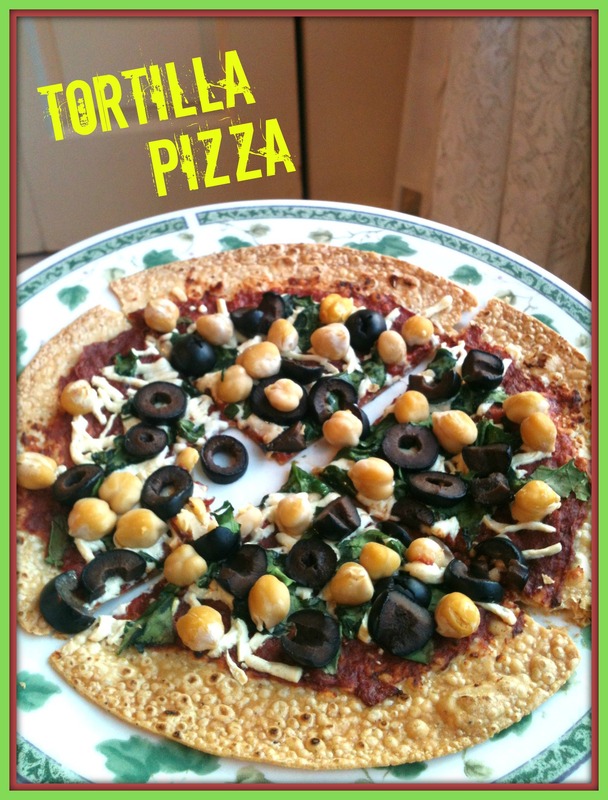 Fortunately, I came across a recipe that uses a tortilla as the base of the pizza crust. I’m not the biggest fan of a very thin crust, but of course that is the type of crust a tortilla is going to provide. However, I loved how quick and easy it was to make this pizza. 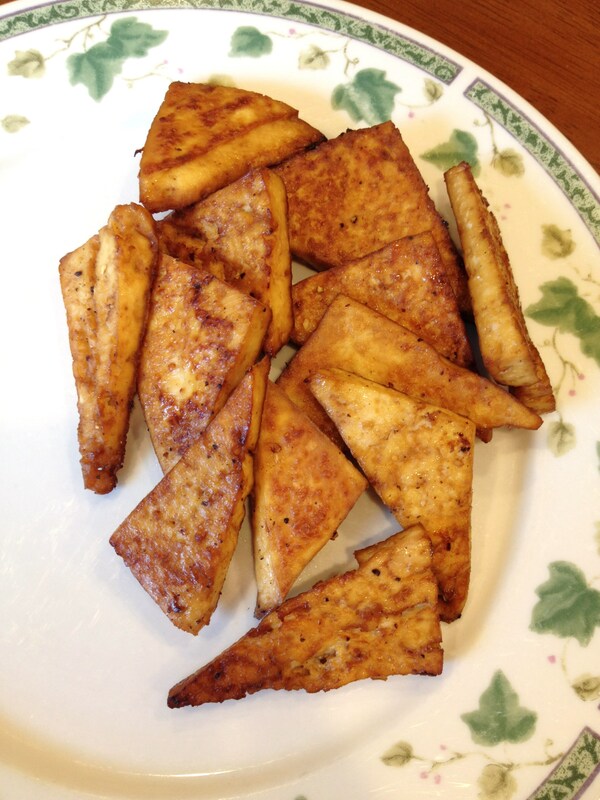 And actually, the crispy tortilla was not bad at all – kind of like a tortilla chip with pizza flavor! Preheat oven to 350F. Spray pizza pan with non-stick spray and place tortilla on the pan. Mix together the tomato paste and all the spices. Alternatively, you could use store-bought pizza sauce. Spread the sauce on top of the tortilla. Top with cheese and any toppings you choose. 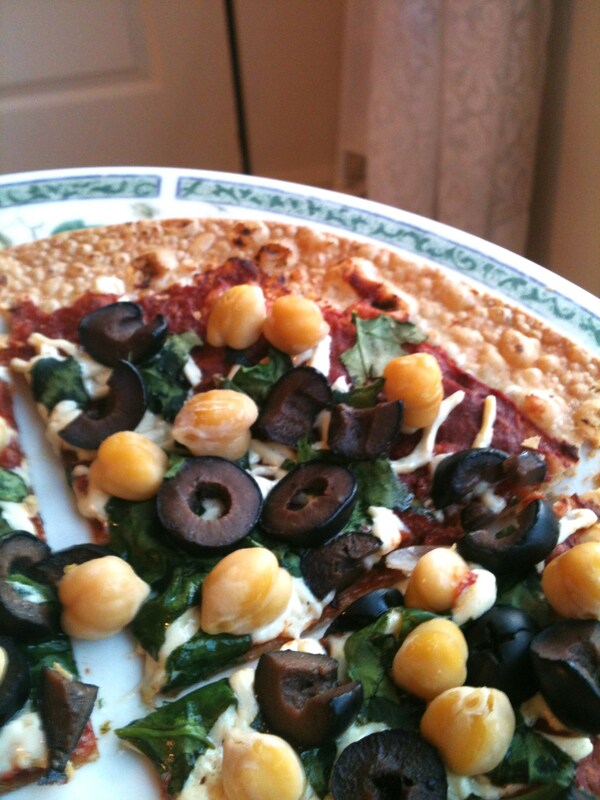 My pizza topped with spinach, olives, and chickpeas! This pizza was so easy and tasty. I will definitely be making this again when I want a quick pizza! This pizza looked so good, I couldn’t wait to eat it! I can’t believe I haven’t posted an entree recipe in over a month! This summer I have been all about eating lightly – smoothies, salads, oats, simple sandwiches, fruits and veggies, and just snacking. Soon it will be cooler weather and I’ll most likely cook more actual meals. Plus, there are so many new recipes (as well as delicious old ones I want to remake) that I want to try that I really need to start cooking them so my list gets shorter! I think I might have to start cooking dinner on Sunday’s again! It is always the easiest day for me to cook a big meal since it is not in the middle of the work/school week and Sunday’s are a good day just to veg out at home. I have been loving coconut all summer long. 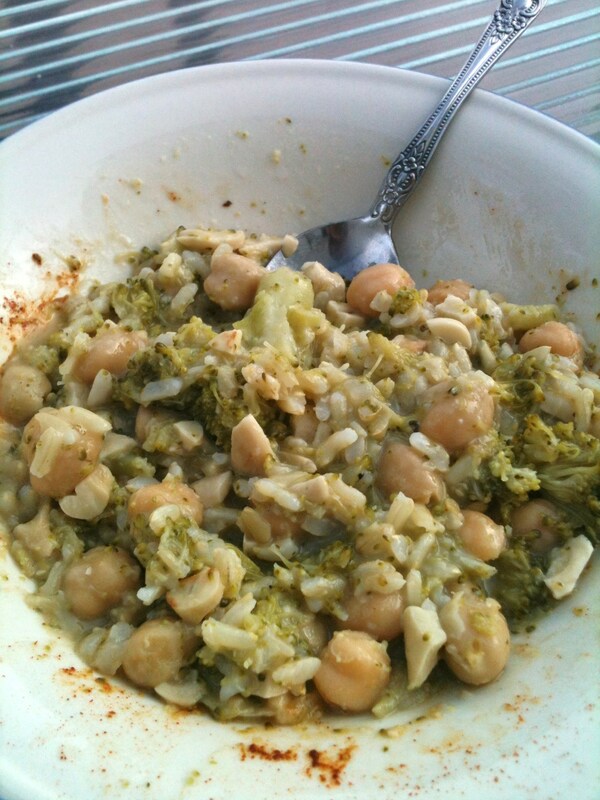 When I saw this recipe for coconut rice with chickpeas and broccoli, I knew the combination would taste amazing! This recipe almost reminded me the same taste of creamy broccoli soup, except this is a rice dish and obviously dairy free! Heat olive oil in a pot over medium high heat. Add onion and broccoli and stir for approximately 5 minutes, until onions begins to soften. Add chickpeas and stir for another minute. Pour in coconut milk and all the spices and simmer for approximately 20 minutes. Add cashews and brown rice and stir. Let sit for 5-10 minutes before serving. 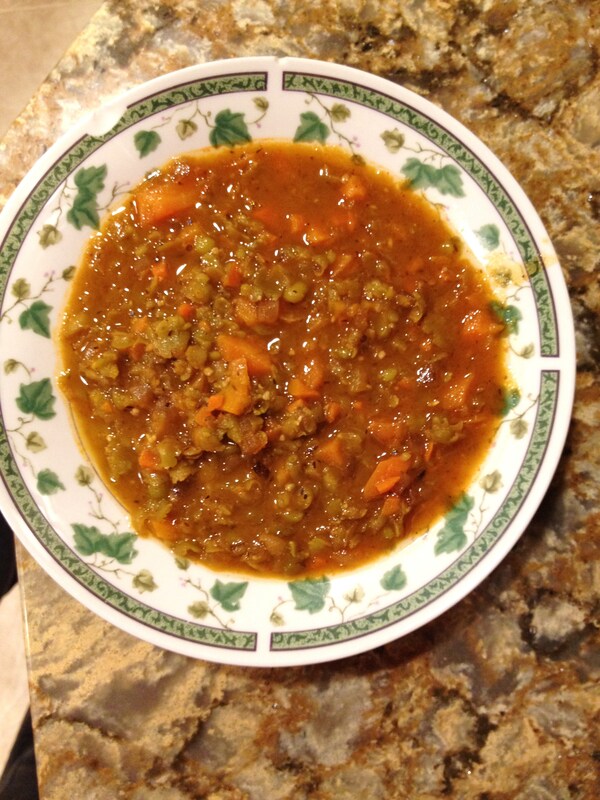 The original recipe calls for curry, but I did not have that spice and my mom does not like curry and I wanted this to be enjoyed by the whole family so I decided to omit it. If I did have curry, I probably would have added a little to my own bowl though. I also changed some of the spices. I added extra garlic, some pepper, and paprika. Feel free to adjust the seasonings to your own taste buds. 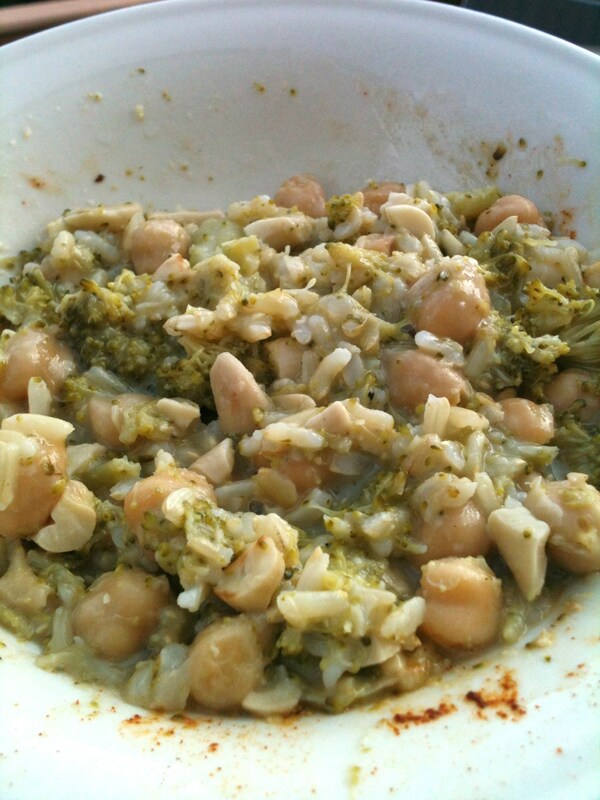 A third thing I changed from the original recipe is I added extra brown rice. After I allowed it to simmer for 20 minutes, it was still quite liquidy so I added extra brown rice to help soak it up. It came out fantastic! The above recipe reflects the changes I made to the original. I also doubled this recipe so that there would be enough to feed a family of four. We had a small bowl of leftovers which actually worked out perfectly because I had lunch ready for the next day and it still tasted great!